It seems Zimbabwe’s Pay-Tv market may be going through a revolution of sorts. Last year, Econet Media launched Kwese TV in Zimbabwe and now the Tanzanian Bakhresa Group of Companies is bringing AzamTV to our local shores. The Bakhresa Group of Companies is owned and chaired by one of the wealthiest Tanzanians: Said Salim Bakhresa. The group of companies has dabbled their trade in food products, road transport services, and media among other things. AzamTV started broadcasting in 2013 and right now they are available in Kenya, Malawi, Tanzania, Burundi and Uganda. When will Azam start broadcasting in Zimbabwe? The application procedures are already underway and we are in the process of ensuring that we meet all the requirements. We want to bring this product to Zimbabwe as soon as yesterday, so basically if we get the green light, we will unroll the project. You may be wondering if the most wanted English Premier League is on offer but unfortunately you won’t be able to watch that on Azam. But with their most expensive bouquet expected to be $15/month it would have been shocking if Azam had secured rights for the most sought after football league in the world. As mentioned above, Kwese came onto the scene last year and it offers a $29, $9 and $5 bouquets for 30, 7 and 3 days respectively. Kwese is more accessible than Dstv right now owing to the fact they accept Bond notes . The EPL and soccer fans are yet to be swayed from Dstv though, due to the strangle hold Dstv has on the rights to air more live matches so it will be interesting to see where Azam will fit in the Pay TV market alongside both Dstv and Kwese. Nonetheless, I do think AzamTV’s entry into the market will be positive because at the end of the day consumers can never have too much choice. I’m particularly interested in seeing what $5 will get subscribers. It will probably be better than what is on offer on our national broadcaster so I guess there may be a market for Azam What are your thoughts? 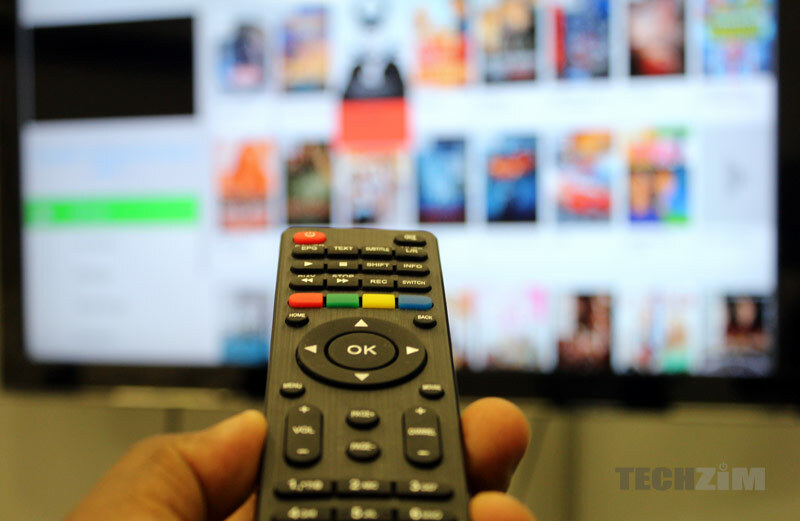 Is there a market for a third TV subscription service in Zimbabwe? The EPL and UCL are deal breakers for me. I get Netflix, Hulu, iTV and iPlayer so Entertainment is not the deciding factor for me. Will they be accepting bond notes? Zimbabwe’s population is so low. I am really surprised why Pay Per TV companies are scrambling for us? Growth potential. Future middle class. Southern African pilot on a small but measurable scale. Don’t worry, you won’t see it with a consumer mindset. Competition is always welcome, one way or the other. DStv will soon self regulate and lower prices or else risk getting soccer season subscribers only. With duplication of channels this doesn’t pass me as “competition” at all. Just like the CBD vendors, thousands of them selling basically the same products. Real competition comes with variety, not just of the pricing regime, but content. I have as yet found no real motivation to move away from DStv so far. True it’s not exclusively about pricing but I also think there are those who want content that’s priced aggresively because yes Dstv may have good content but their cheaper bouquets do are not really inviting for lower income households. DSTV is useful only for sport. It is justifiable only for that reason. If you are a sports freak, you have justification to be on it. Using that logic, can we say Telecel, NetOne and Econet are not competing? Let alone the coming in of TelOne into the sector is not competition because of duplication? My point is that DStv, Kwese and Azam have a lot of channels that show the same content. If there is variety there the market becomes dynamic. Its the same concept as really there being no need to have 3 lines and 3 handsets (although this happens a lot, I wouldn’t like to have 3 satellite dishes on my property, or more generally, a shop having 5 EFTPOS devices at one till point). One expects competition to be based on the services & QOS offered, rather than hardware. So Telecel, NetOne and Econet are in competition because they offer the same products but with different features/offerings. Trying to fuel a conspiracy here. What if that’s Doctor Dish come back? Add some flesh you want to it, the rest is up to you.